I have always been a fan of turquoise ink, it’s a fun and playful ink color that I enjoy using. Lamy Turquoise is a true turquoise that’s not too green and not too blue. My go to turquoise has been Diamine Turquoise but this Lamy ink looks near as nice and behaves much better. No significant issues with bleeding and feathering as I experience with the Diamine. 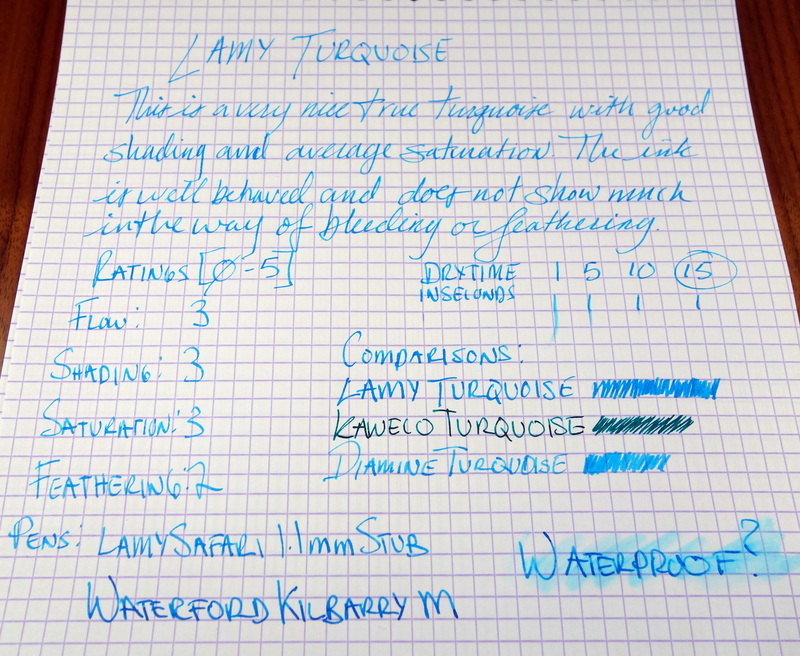 I find that the Lamy Turquoise has an average flow and saturation with good shading. 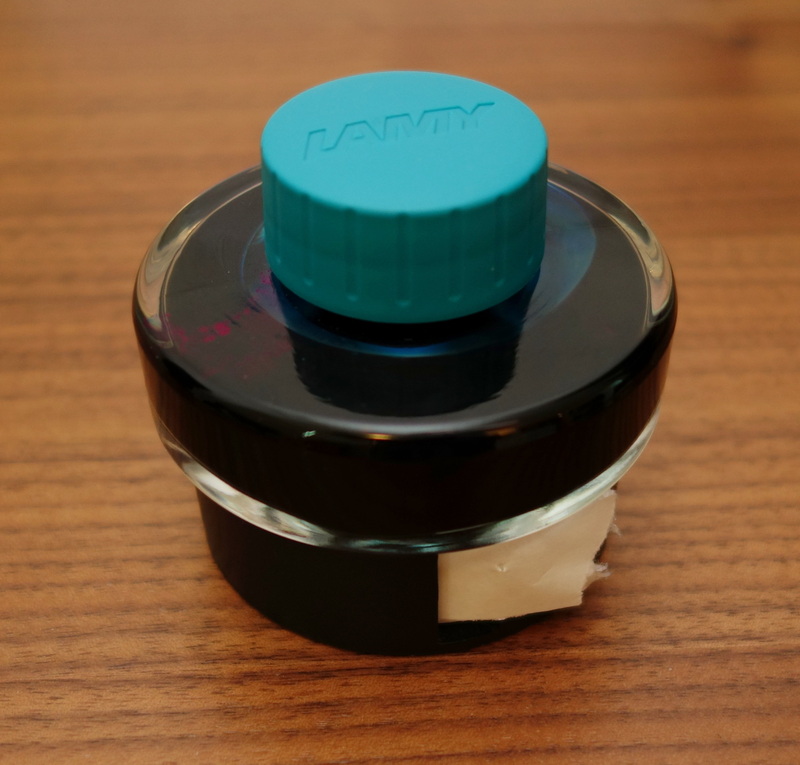 Overall it’s a very well behaved ink that has become my new favorite Turquoise. The Lamy ink bottle is very well designed. 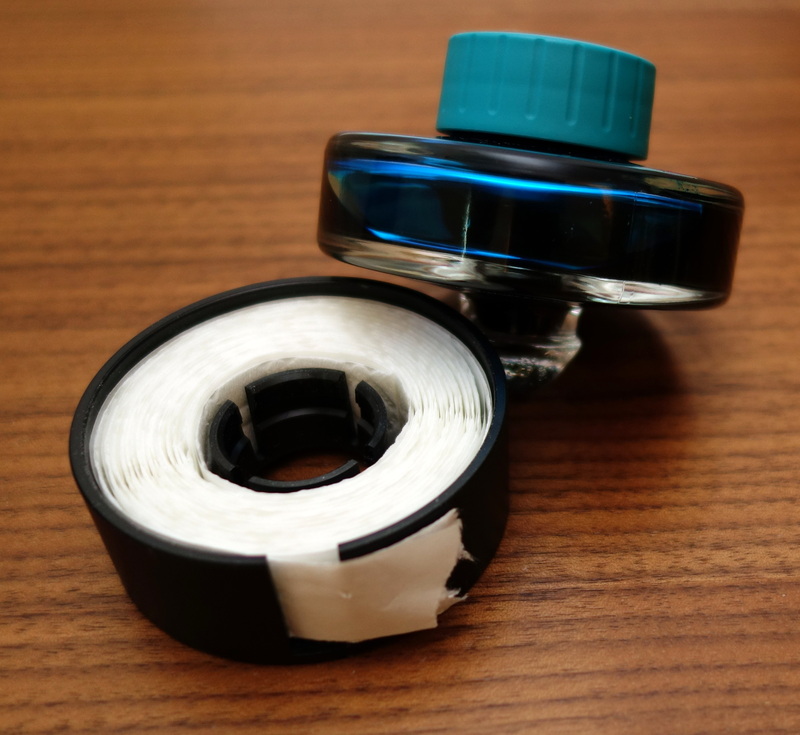 The glass vessel is shaped like a top and the plastic base is a ink blotting paper for cleaning your pen after filling.